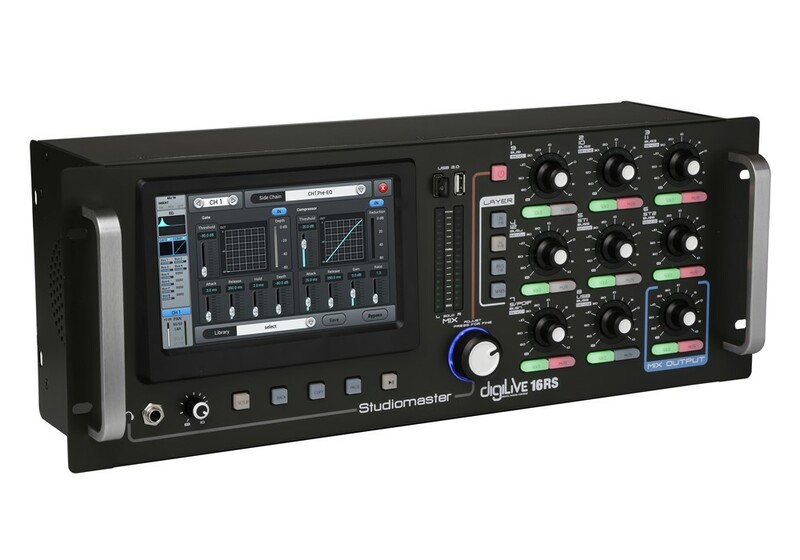 Introducing the Studiomaster Digilive 16 digital mixer series – 16 inputs, motorised faders, large 7″ touch screen, USB ports – everything you need for perfect live mixing. 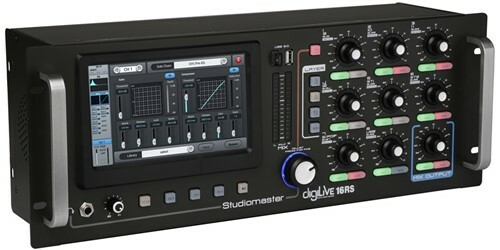 Digilive is the result of many years of R&D combining Studiomaster’s experience in signal processing with the latest technologies to give you total control over your sound. 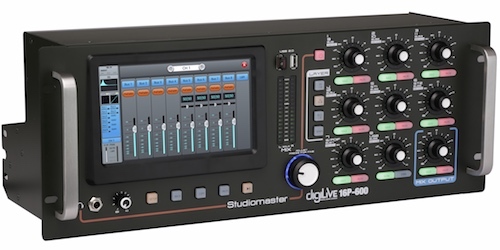 Although ultra compact, digiLivE16 uses the full potential of our digital mixer expertise without compromising any features. 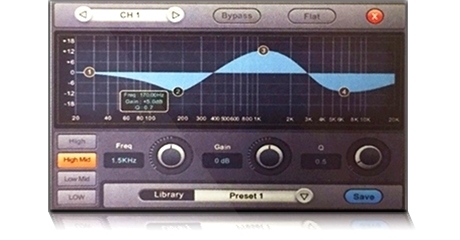 All settings can be recalled including, most importantly, the faders – unique in this class of mixer. 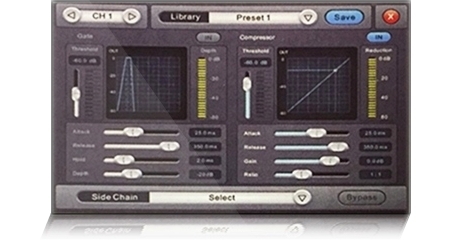 Full control is also available remotely via Wi-Fi, so you are free to mix anywhere in the venue. 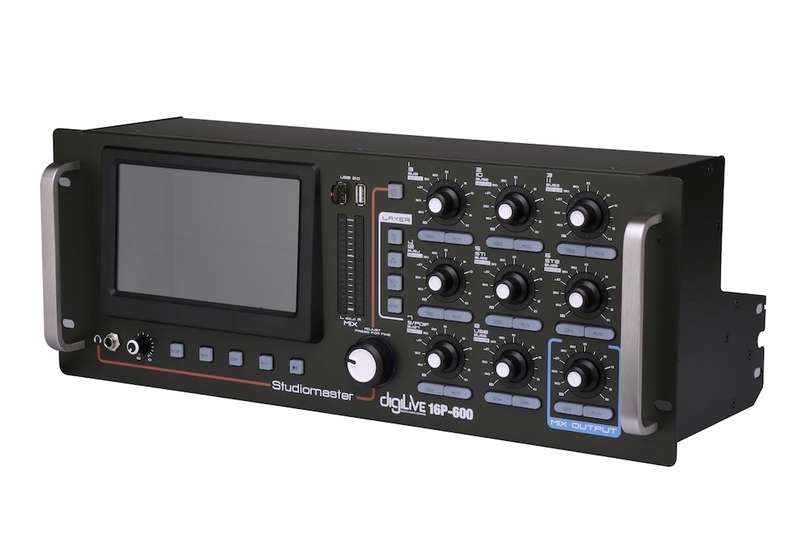 The digiLivE 16RS and 16P-600 are both compact rack mountable black box versions of the 16 console, even more compact, these models still utilise the full potential of our digital mixer expertise, including digital input gain with full led rotary controls. 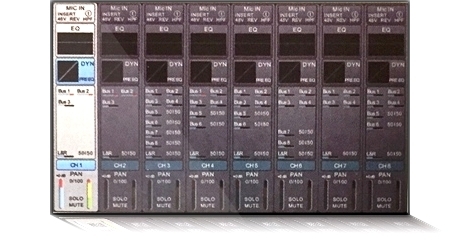 Retaining the unique and intuitive 7″ touchscreen interface, 16 inputs, 16 internal busses and the 16P-600 adds a 600 watt multi configuration internal digital power amplifier with 4 x 150W smart balanced outputs. 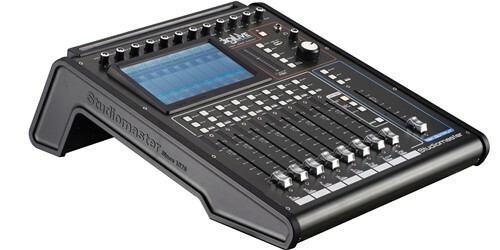 The ultimate hybrid stand alone mixing console with motorised faders. 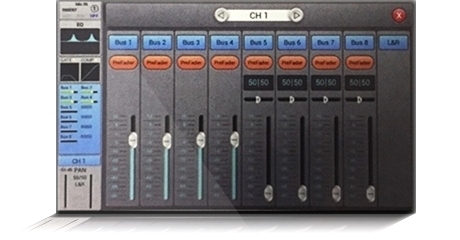 The compact black box style, rack mountable console with digital gain channels. 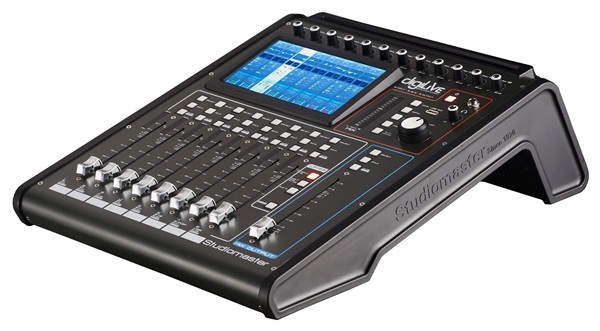 The ultimate powered mixing console with a built in powerful 600watt (RMS) amplifier.